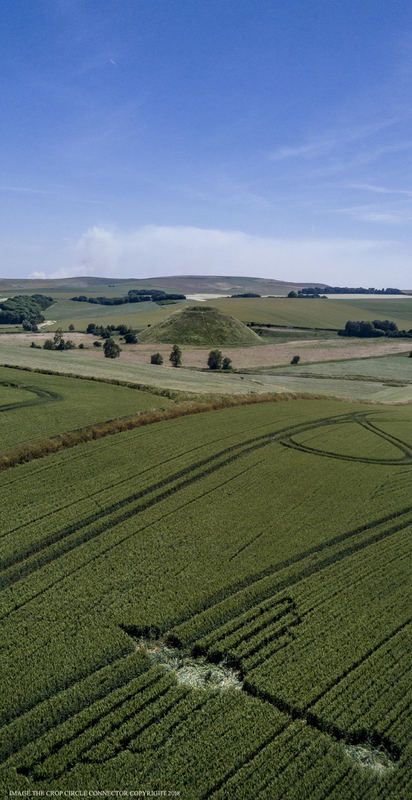 Waden Hill, Nr Avebury, Wiltshire. 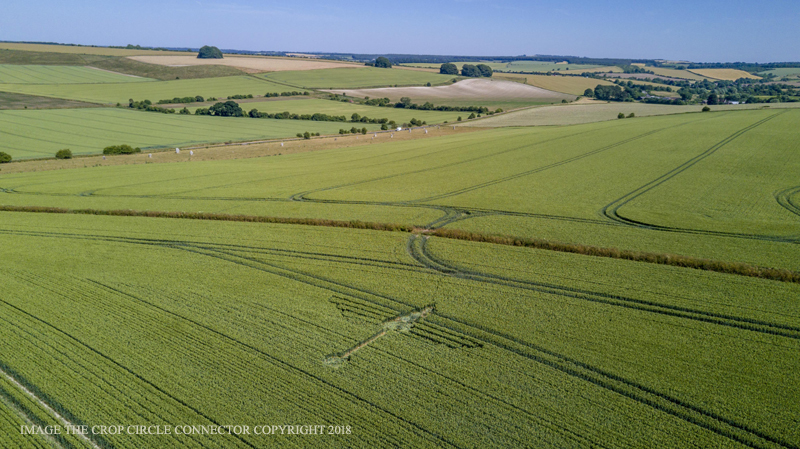 2 July 2018. 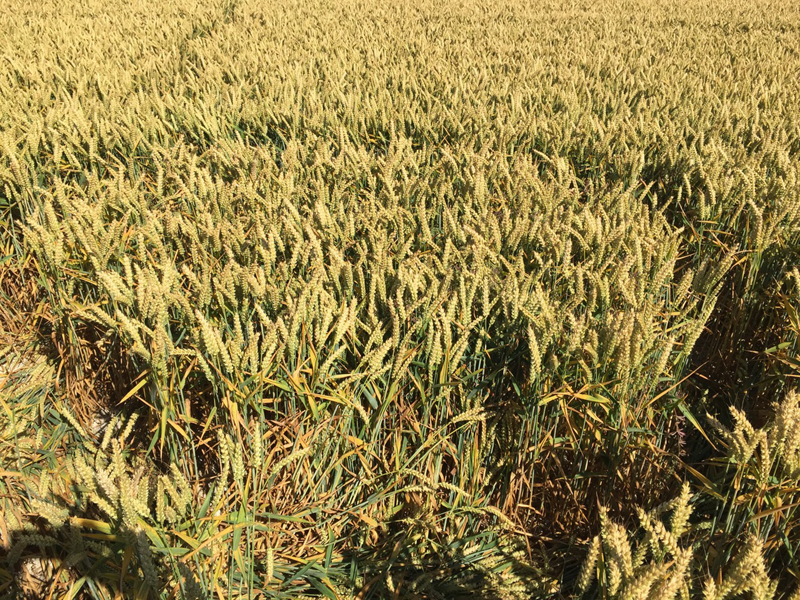 Wheat. 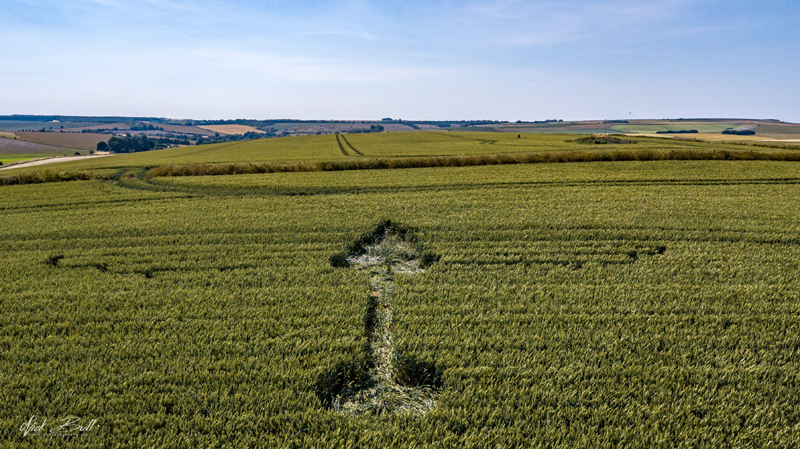 c.100 feet overall (30.5m). 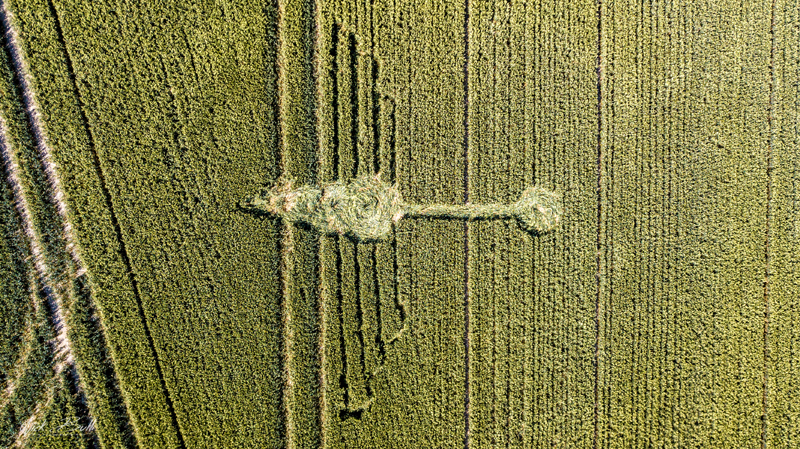 A stylised dragonfly. 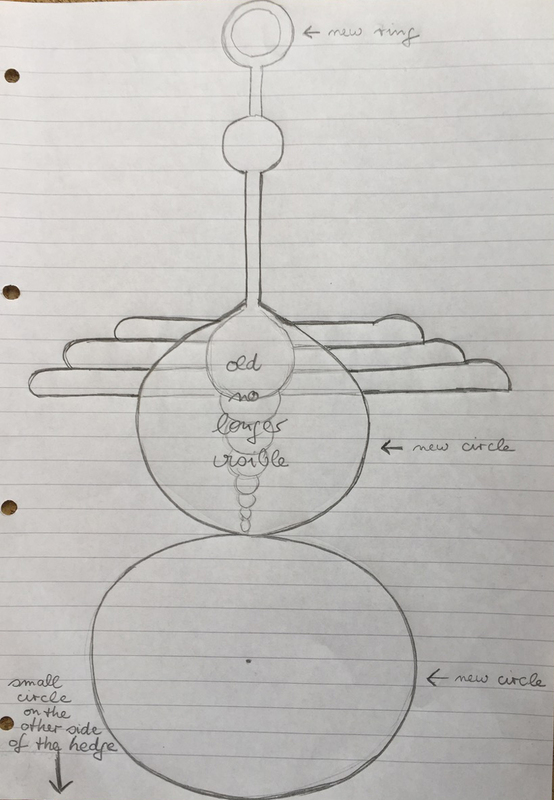 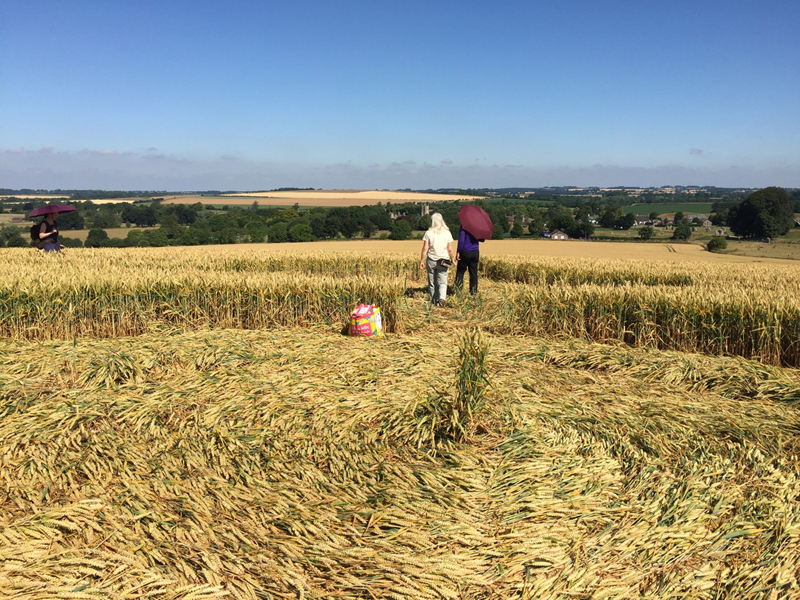 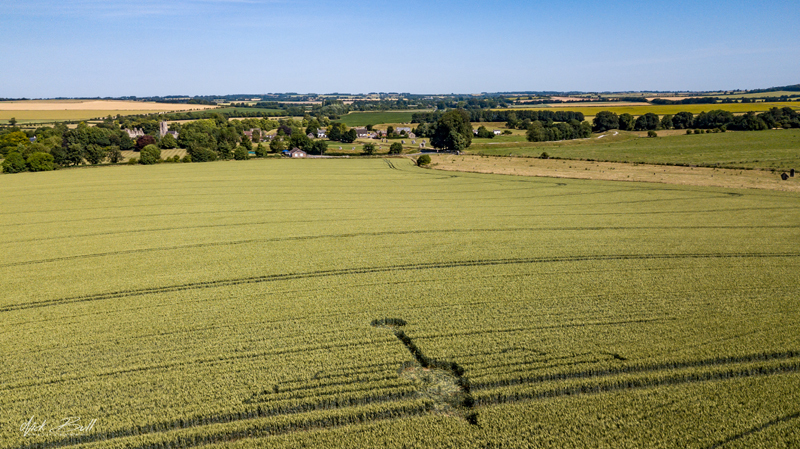 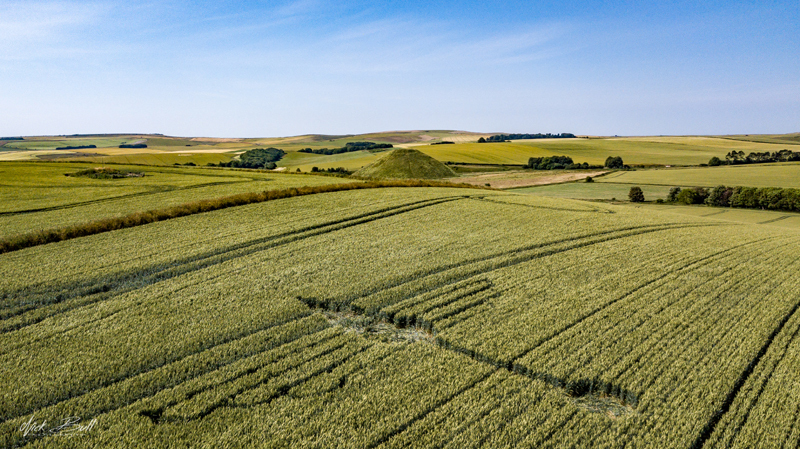 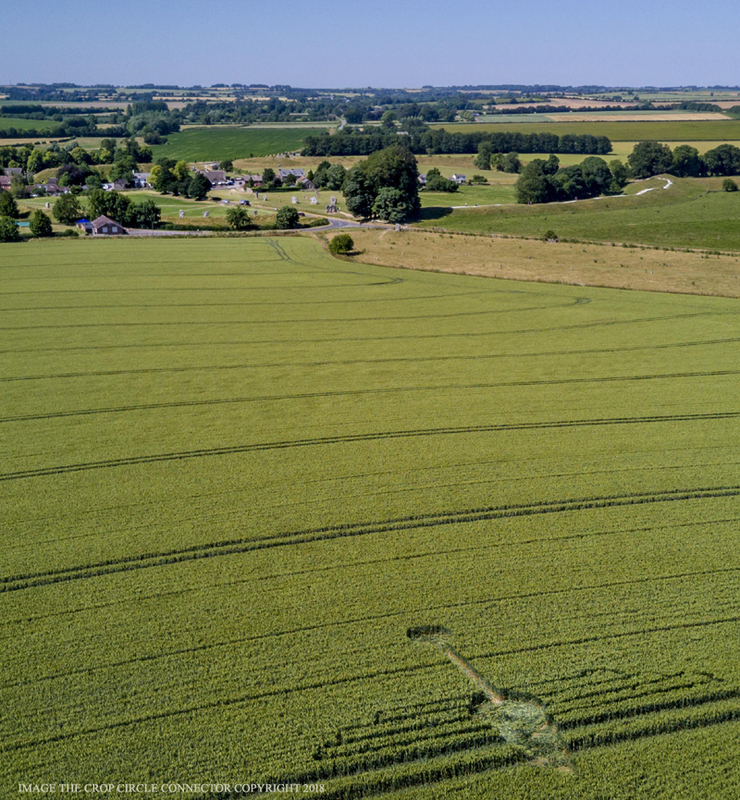 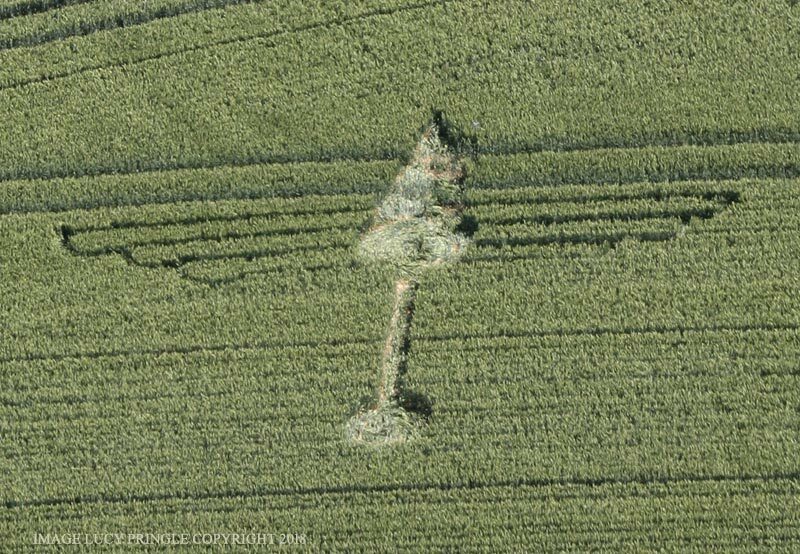 On last Sunday (July 15th) we have seen that the crop circle of Waden Hill (July, 2nd 2018) has been changed: there is a new circles at the bottom and the arrow at the top has been changed to a circle. 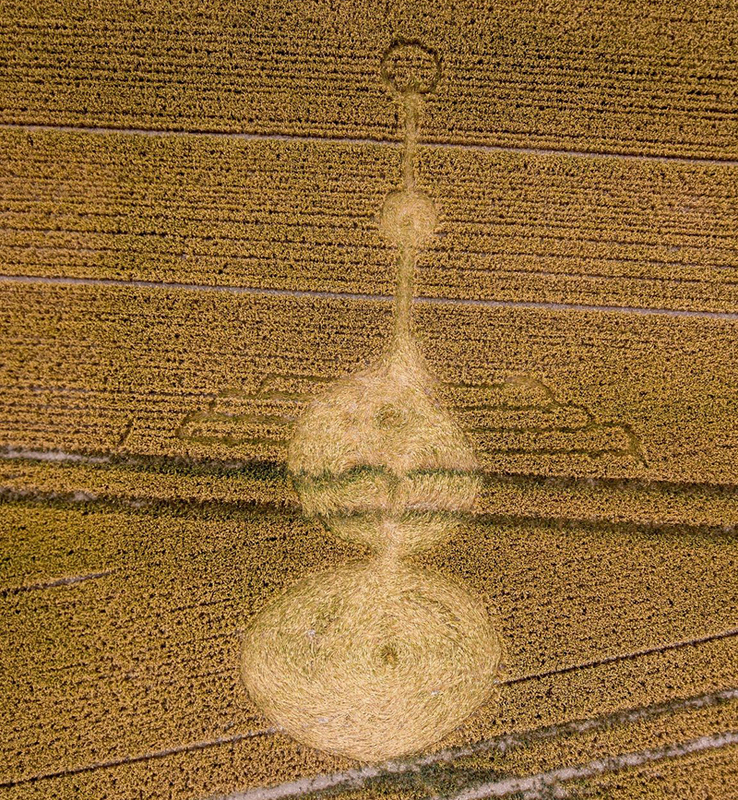 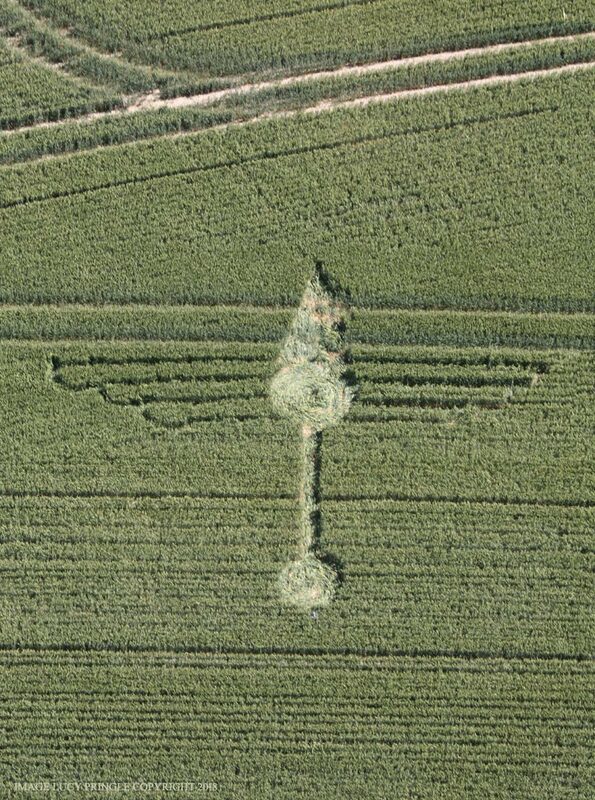 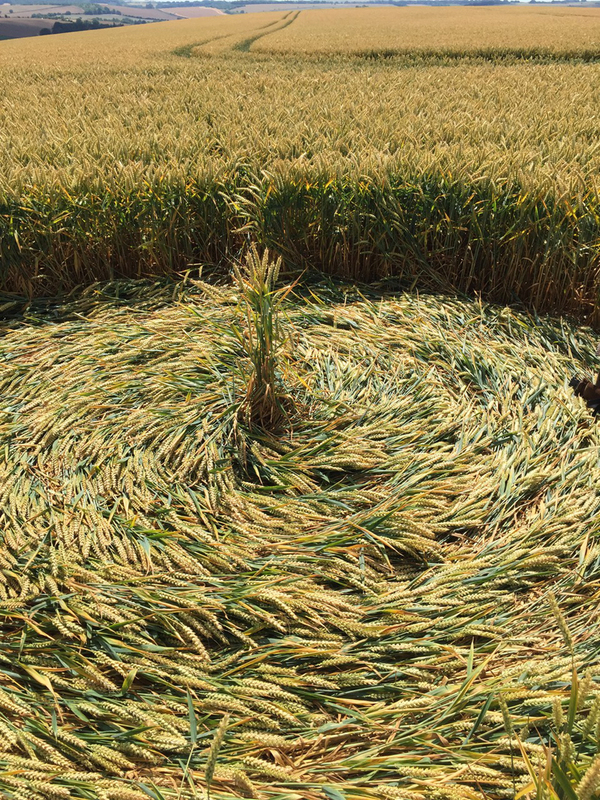 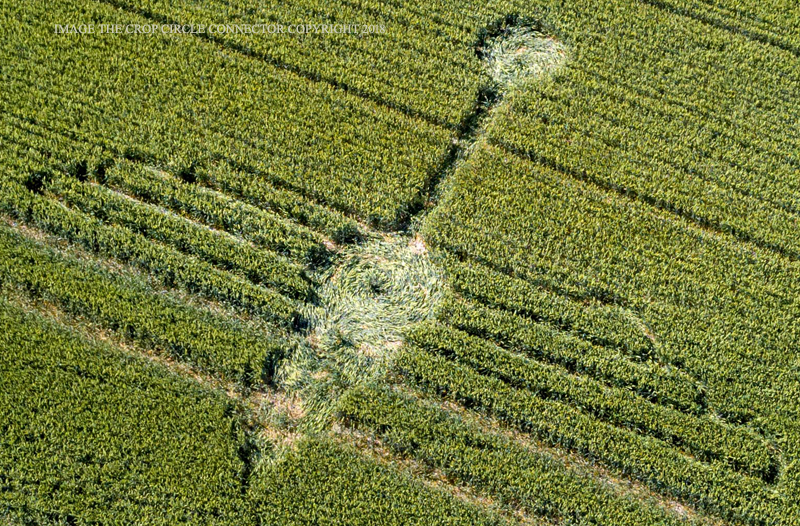 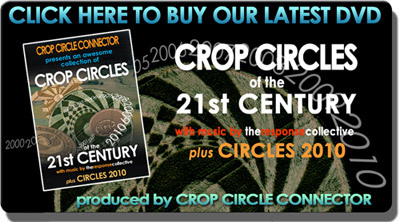 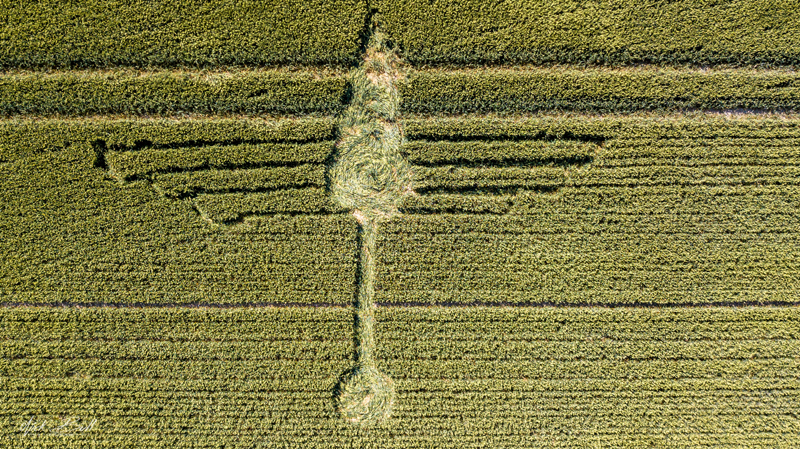 Additionally on the other side of the hedge, there is a small circle, belonging to the crop circle.